Music and entertainment plays an important and integral role in the wedding day for most couples. Indeed, music often fills the air for the entire day. It begins from the bride’s big entrance and the wedding ceremony music itself. Afterwards there is the wedding breakfast accompaniment, and onto the wedding band for the evening reception. The sound of music can be heard throughout the day. As with virtually everything to do with weddings these days – the choice is yours. Gone are the days when a wedding took place in one of two places: a church or a register office. Now, if you want to get married in a beach, you can. You can now get married where you want and how you want. You can write your own vows and play around with conventions how you like. Pretty much anything can be arranged and tailored to match your exact needs and wants for the day. Some couples set out deliberately to be different. Others stick to tradition, There is much to be said for both options, to be honest. But, whether you choose ‘wacky and leftfield’ or ‘straight down the middle’, one aspect of the big day that usually prompts a lot of discussion is the wedding ceremony itself? So, how do you choose the perfect wedding ceremony music. The music played while guests are waiting for the bride to arrive is known as The Prelude. The Processional is the music that is played as the bride (and bridesmaids) enter in procession (hence the name). It’s at this point that the guests will stand. No music is allowed during the exchanging of the vows. However, it’s common for hymns to be sung during church weddings. Ambient background music is often played as the couple and chosen guests gather for the signing of the register. Finally, The Recessional is the name given to the music that is played to mark the departure from the ceremony of the bride and groom. 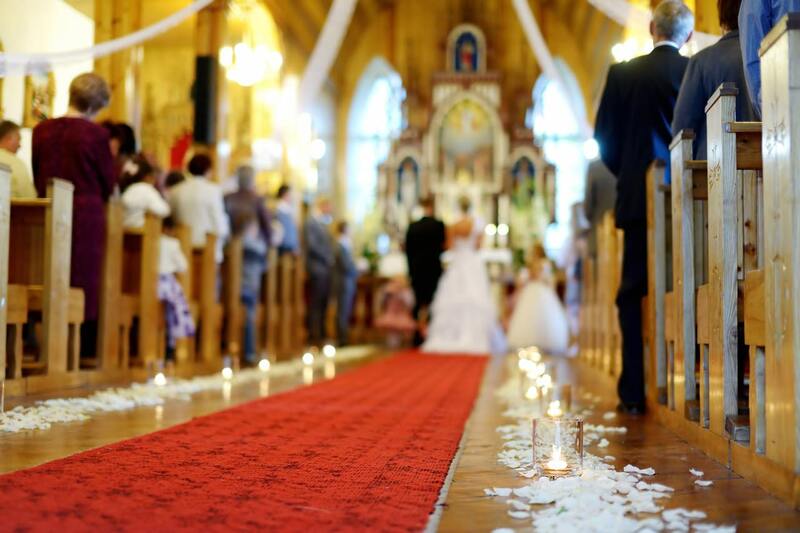 Of course, many couples choose to use pre-recorded music during the wedding ceremony. Whilst this is simple and easy to organise, it can never hope match to ambience created by live musicians. String quartets or harpists are popular choices for couples that want to create a relaxed, but incredibly classy atmosphere. We’ll finish with the same message we began with. Ultimately, when it comes to your wedding ceremony music, the choice is yours. Every wedding is different but at Silk Street we’re sure that we’ve got what you’re looking for in our portfolio of quality acts.